MaxAmps introduces a lower center of gravity battery option to compete in the drone racing market. 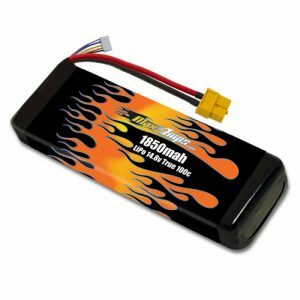 The 1850mAh 4S batteries have been engineered to reduce height and increase performance for racing drones. Using authentic 12awg Deans Ultra wire, the 1850mAh battery pack can easily handle the large amp draw your quad demands. We have found that the maneuverability of your FPV racer is more precise using this battery.